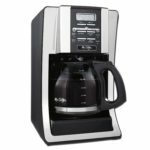 Welcome to our reviews of top selling coffee machines, we are going to go through some of the bestsellers on the market to give you a good idea of what you get for your money and the features they have to offer. Having a coffee machine at home means there is always great tasting coffee, quickly and conveniently just with the flick of a switch, making it a must for coffee lovers. 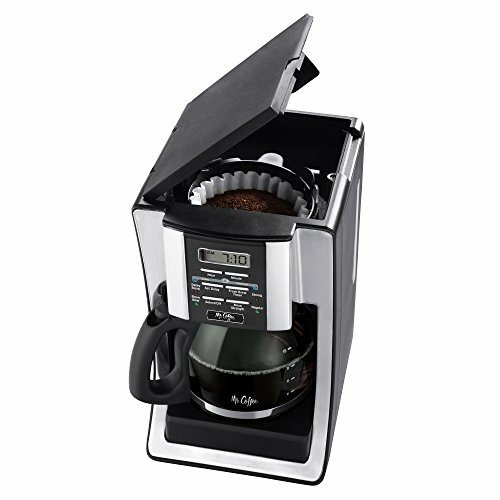 Our first pick is The Mr. Coffee BVMC­SJX33GT 12­-Cup Programmable Coffeemaker, we are going to have a look at some of the features and functions to see how it fares, and the cost, etc. This coffee maker is a very popular choice for many people and has been recognized as one of the best products of 2016 in one of the leading consumer research magazines, so the manufacturers must be doing something right! 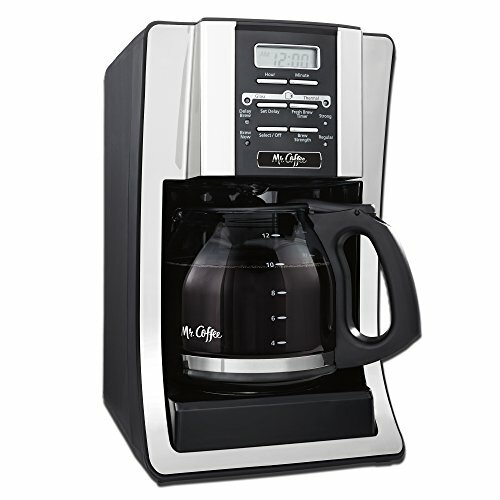 The design of Mr. Coffee BVMC­SJX33GT 12­-Cup Programmable Coffeemaker is made with stainless steel which is pretty durable and looks sleek in black and chrome, it has a nice shape with a curve at the base and will look good in most kitchens as well as being very useful. The carbon based water filter in the coffee maker will make sure that your favourite coffee beans will always taste their best, as the brewing process will remove up to 97% of chlorine from the water so that the taste is improved. If you can’t wait for your coffee to finish brewing, The Brewing pause ‘n serve feature, allows you to simply pour a cup of coffee while the machine is still brewing, great for when you are in a rush, and you can choose how you like your coffee in strength using The Brew Strength Selector to choose for your own personal taste. Your coffee can be kept hot for 2 hours, and will shut off automatically, so that you don’t have to worry about going back to switch off and you can also set The Delay Brew timer for 24 hours in advance so that your coffee can be ready when you are. This coffee maker is good value for the price tag, it is easy to use and clean, and makes good, hot coffee, the only drawback, if any, is that it only comes in one colour unlike some other brands, but this is definitely a great buy.